IT leaders continue to rank security as a top priority. In TechTarget's 2017 IT Priorities Survey, 22% of respondents said they devote more time to security than any other initiative.1 After all, what’s more important than security? IT leaders have embraced a wide range of technologies during the past few years in a bid to modernize security and data protection capabilities for the cloud era. These include next-generation firewalls, cloud-based intrusion prevention systems, advanced threat detection and many others. During this same period, hyper-converged infrastructure (HCI) has emerged as a breakthrough data center technology, helping to lower costs, improve performance, increase agility and reduce complexity. HCI is now poised to expand those benefits and become a vital part of IT’s security strategy. A software-defined, hardware-independent approach means security can be simpler to deploy and scale, leveraging automation and orchestration capabilities across the entire infrastructure. HCI customers can adopt a far more flexible security model that can run on any hardware, including existing x86 investments, with lower costs and simplified management. This is not some future dream. This is technology that is available now with the introduction of VMware vSAN 6.6. The largest vSAN release to date includes the industry’s first native HCI security solution with software-defined, data-at-rest encryption. Native security is an important development in the evolution of HCI because it gives organizations the opportunity to mitigate security risks, meet compliance requirements, simplify security management and reduce costs. The hardware-independent approach to security eliminates the need for expensive, self-encrypting drives, which can cost up to 40% more than regular drives. Hardware independence: vSAN uniquely allows organizations to deploy secure HCI on the storage hardware of their choice, providing flexibility to scale and grow with existing and future technology. Users can avoid the limitations of hardware lock-in and deploy an agile and secure HCI solution. Common security for hybrid cloud: With the announced Amazon AWS and IBM partnerships, as well as the VMware vCloud Air Network of partners, vSAN is the first HCI solution to show a path to common, secure encryption across the hybrid cloud. Simplified media disposal: Regulated or security-sensitive customers often need to physically destroy decommissioned media because of security risks. This requirement can be eliminated with native encryption. Compliance ready: vSAN’s native security opens up HCI for customers with more stringent compliance requirements, such as two-factor authentication and defense-approved implementation guides (STIG). By bringing software-defined security capabilities to HCI, VMware is making it much easier for customers to deploy, manage and scale security in concert with compute, storage and networking. Organizations can extend security beyond storage and across their software-defined data center with other VMware solutions, such as NSX for secure networking and vSphere Secure Boot for compute protection. With vSAN 6.6, VMware also introduces additional features to increase resiliency and availability. A highly available management stack now allows vSAN monitoring and management even in rare cases when vCenter Server is unavailable. Customers can reduce the impact of hardware failures with new proactive health evaluation, ensuring efficient movement of data before hardware failures occur. In a software-defined architecture, the IT team has the potential to use an automated process to extend security protections to new servers and network switches without the need for manual tasks. This not only accelerates time to value, but also reduces risk while providing a modern approach to infrastructure deployment, management and scaling. Discover how to make IT at your organization more flexible and agile through these real-world examples. 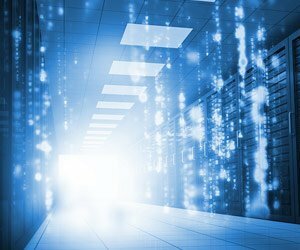 IT teams are continuing to embrace HCI to modernize their data centers and cloud environments. HCI is one of the technologies that scored highest in TechTarget’s data center Momentum Index™ in 2016. As HCI growth accelerates, technology leaders such as VMware are continuing to innovate at a rapid pace. The introduction of VMware vSAN 6.6 gives customers the ability to natively address security and compliance requirements along with the core benefits of HCI. Customers can move toward a modern, software-defined security model that represents the data center of the future. For vSAN customers, the future is now.